Read our customers' honest and impartial Jaguar E PACE car reviews and ratings to easily find your next car at Motorparks. I have only driven it twice since we've had it, can't get my wife out of it. Amazing. She is so happy with the E-Pace Jaguar. Very comfortable and easy to drive. Build quality seems to be good. Easy to park and a good steering lock. Looks great! Really blown away with the build and on and off road capability, having had it for 3 weeks now I've driven it in all conditions and it's as good in the snow as it is happy on the motorway. Definitely go for the AWD and R-Dynamic to get the best drive. I'd also go for an auto for my next one. Only gripe is the EPB, which could be better positioned, as its not easy to reach and doesn't auto release on the manual model. Amazing. Good fun to drive and an excellent family car. 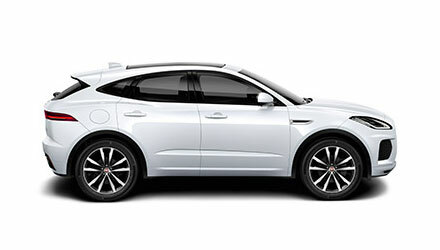 Have just bought a Jaguar E-Pace to replace a Jaguar XE. Very pleased with the E-Pace, very well built, good driving position, very easy to get in and out, very good drive. Very happy with the car and it is easy to drive, though getting used to the controls on the media system takes a little time. Turns a few heads with the smart colour with the black trim - nice look. Great car. I previously had a 180 XF and was concerned whether the 150 E-Pace would work as well for me. It does. The gearbox is slick and the drive is excellent. There is plenty of room inside and the driver's position gives a really good view of the road. It's easy to park and very manoeuvrable. My first drive of my new Jaguar E-Pace is a great driving experience, solid on the road, manoeuvres are excellent with a sporty feel. Not yet driven on the motorways, only local B roads. Disappointed with the radio which goes off on its own after few mins - technical fault - also my music through my iPhone doesn't work either, it has been synced. Additionally, I have the Jaguar App on my phone, when checking through the settings, I've noticed lock is on, however the alarm does not set when locking.